According to the REPUBLIC ACT NO. 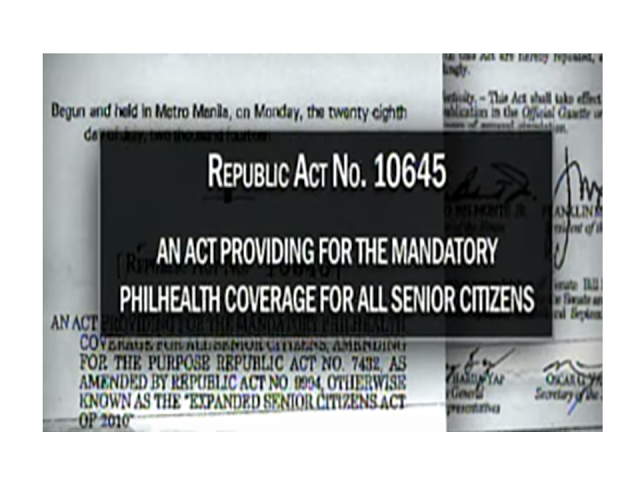 10645: all senior citizen shall be entitled to PhilHealth benefits. 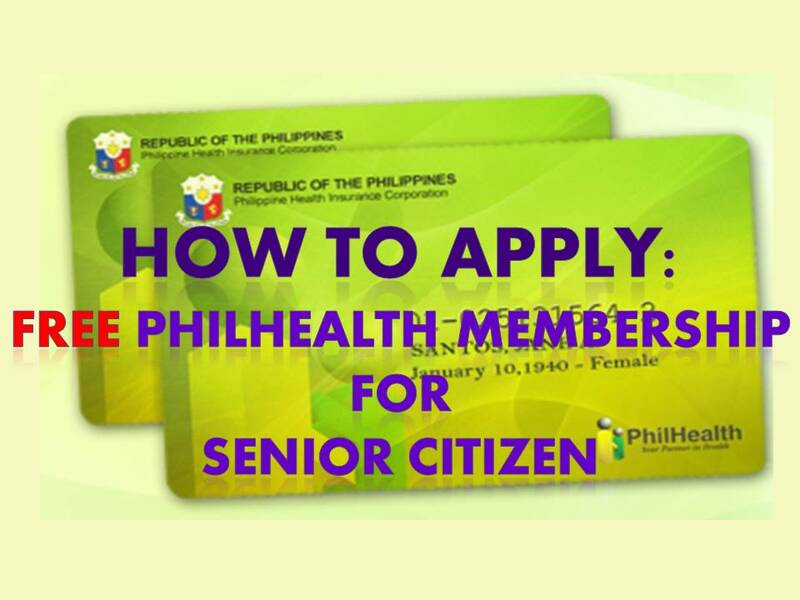 In order to avail this benefit, all Senior Citizens must register for PhilHealth (Senior Citizen) member. The PhilHealth Senior Citizen members are no longer required to pay for a monthly contribution. However, if the Senior Citizen continues to receive monthly income for example as an employee, they still have to pay for a monthly contribution. The contribution for senior citizens shall be sourced from the proceeds of Republic Act No. 10351, commonly known as the Sin Tax Law. Who are the senior citizens that can avail FREE PHILHEALTH INSURANCE? Qualified dependents of members belonging to other membership categories, with or without coverage who are senior citizens themselves. However, Senior Citizens who are gainfully employed or who remain to have a regular source of income shall continue to pay their premium contributions to PhilHealth under the applicable membership categories. How to apply for senior citizen PhilHealth membership? 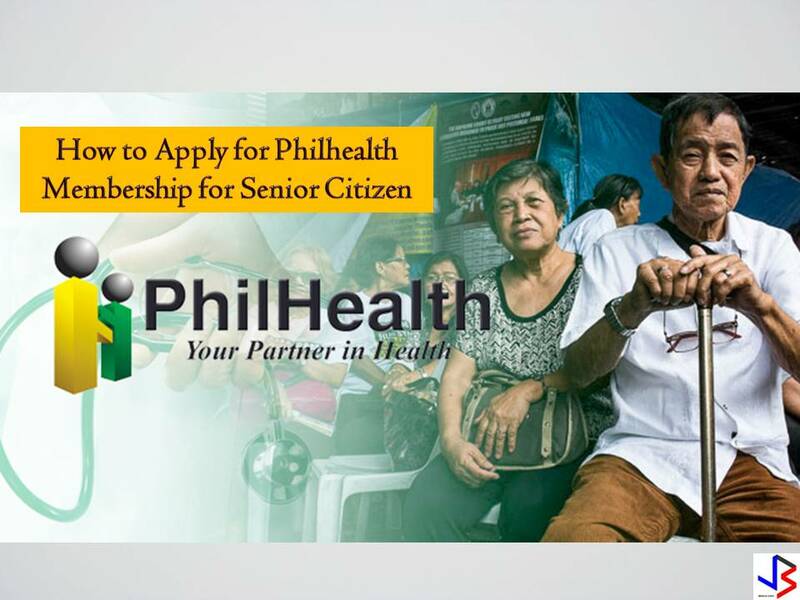 As a senior citizen, you have two options to enroll for PhilHealth, they can enroll in municipal's Senior Citizens Affair (OSCA) office or through any PhilHealth office.